SOLVING ONE PROBLEM LEADS TO SEVERAL MORE. 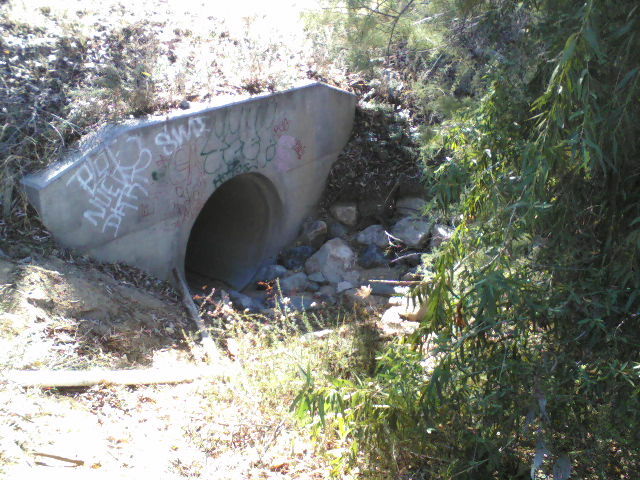 The removal of sediment in excess of a hundred cubic yards from the Prairie Road Storm Drain, only part of what was in there, has led to a series of serious problems that need to be addressed by the City of Wildomar. 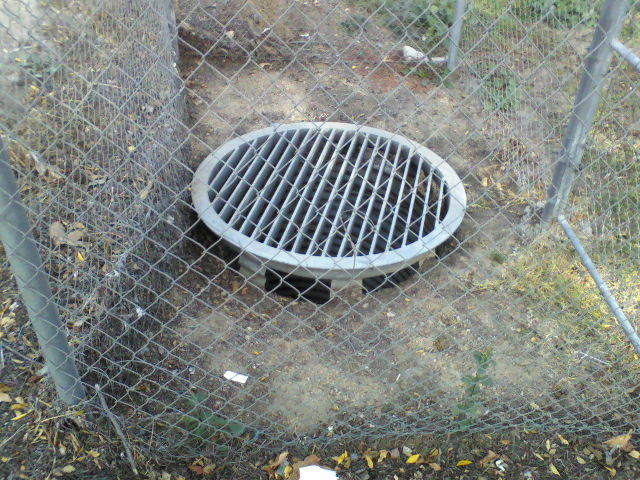 The most serious of the new problems is the lack of grates covering both the entrance and exit of this large storm drain. Some one found a new place to wine and dine. 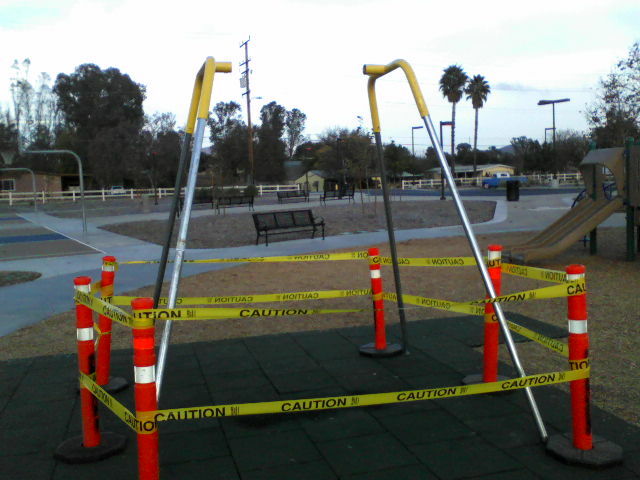 If the City of Wildomar should neglect this little detail it won’t be long before stories like this start to appear. A day after a child drowned when he was sucked a half mile through a rain-swollen storm drain, village officials hastily decided on Wednesday to install a grate over the pipe. Stories like these occur across the country because officials don’t consider the consequences of the curious child or teenager’s for that matter. 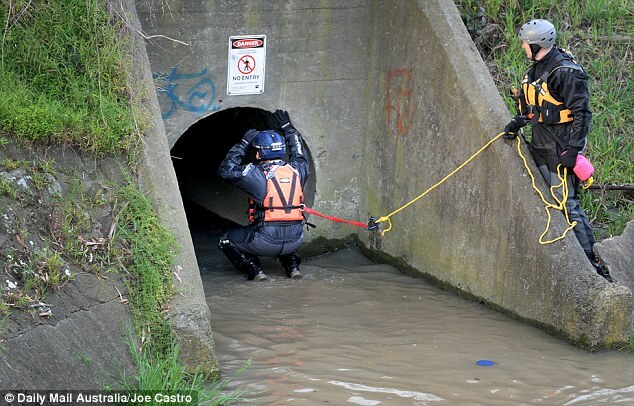 The storm drain where the teenager went in is about 54 inches in diameter but the pipe expands to about 10 feet. There could be up to 67,000 gallons of water per minute flowing through the pipe, officials said. 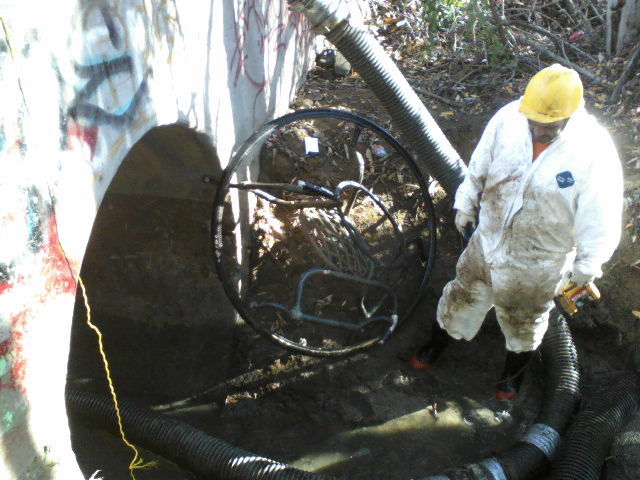 The pipe located in Prairie Road is listed as a 60 inch concrete pipe. 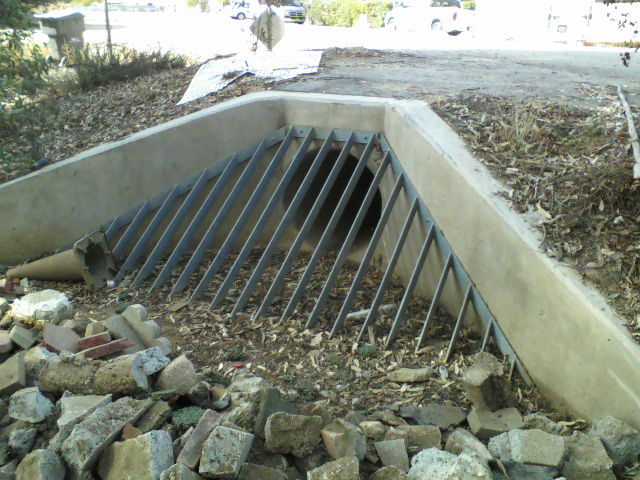 Some local governments have placed grates over dangerous stormwater pipes — but only after tragedy. 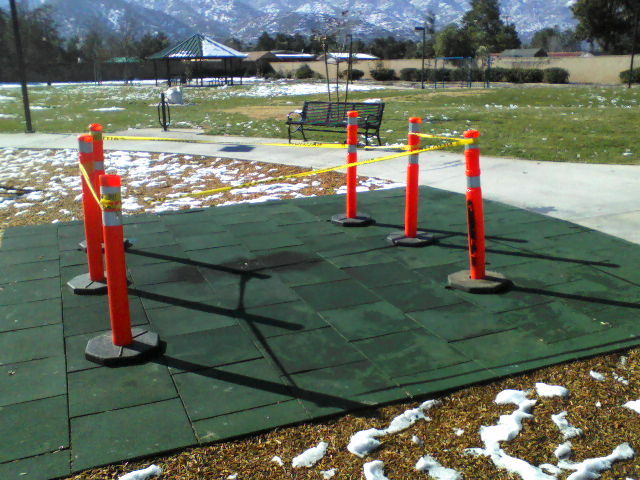 As there are no federal guidelines mandating that potentially dangerous pipe openings be covered or fenced off. This is a sight this community can do without by spending a few dollars to do it right. Another solution can be found on Bryant Street east of Palomar. 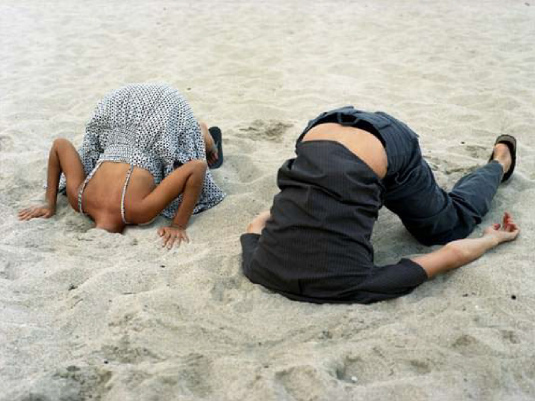 The solutions to this situation are out there and currently being used in the area. This city needs to spend the time and money to do it correctly. 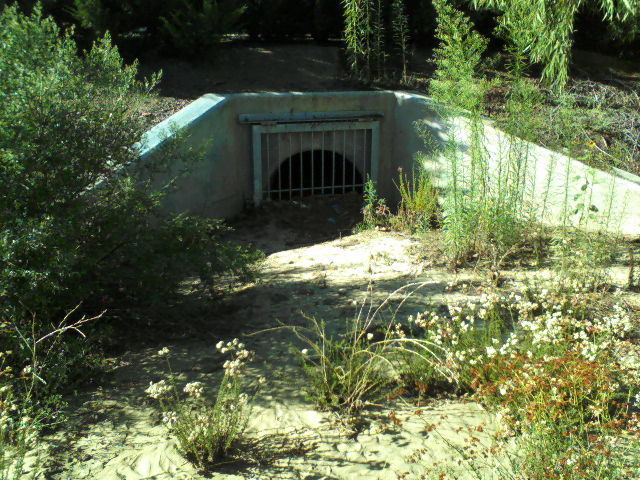 This entry was posted in Daily Ruminations, Future City of Wildomar, Shenaigans, Uncategorized, Water and Drainage Issues on January 23, 2015 by Kenny. The notion that parks are really important to this community could not be further from the truth. Looking over the calendar for upcoming meetings in the city one can’t help wondering when the Measure Z Oversight Committee is going meet again to approve the seriously delinquent “Independent Audit”. Hint: In the past the have met on the 4th Thursday of the month which would make the next meeting take place on January 22, 2015. Starting on January 15, 2015 two positions should have been advertised in the local newspaper as these positions are becoming vacant. And added surprise to the citizens of Wildomar will be the highly esteemed Standing Committee on Parks which will be meeting on January 26, 2015 usually held at 6:30 pm at City Hall. You might hear about it around January 21st. 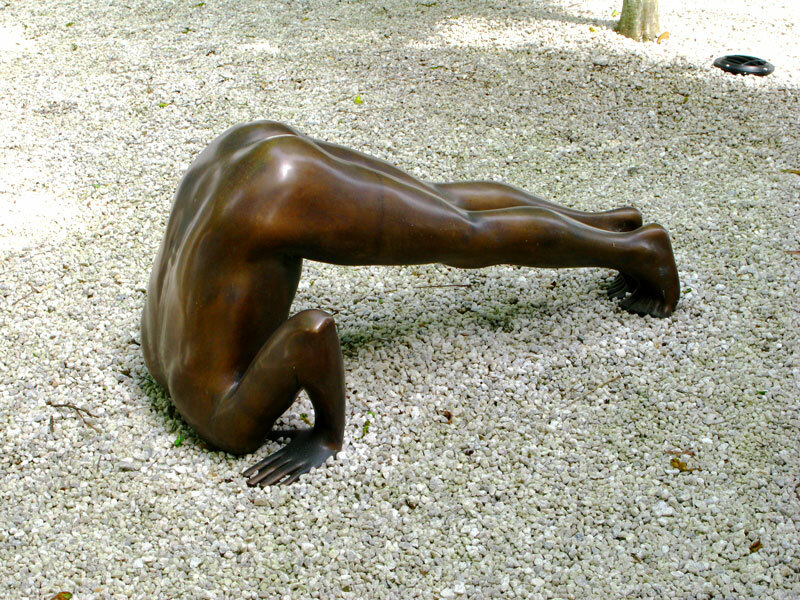 A fine addition to the proposed Gateway Park at Malaga and Mission Trail would be this statue. Right on the corner under the Welcome to Wildomar Sign would be a good spot. This entry was posted in Daily Ruminations, Future City of Wildomar, History, Parks, Shenaigans, Uncategorized and tagged Measure Z Oversight Committee, Wildomar City Council, Wildomar City Staff on January 17, 2015 by Kenny. 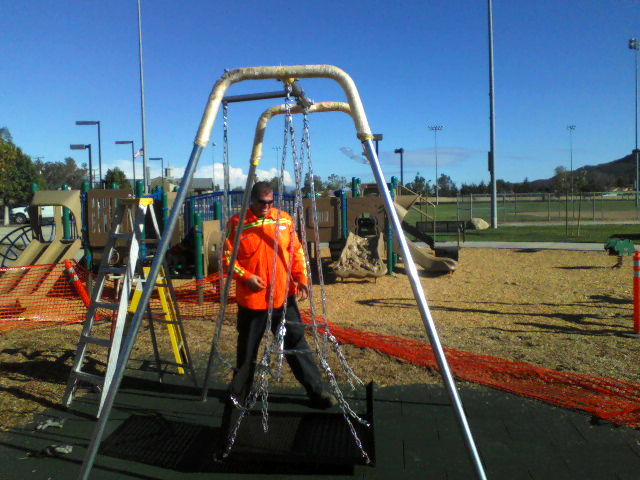 The day installation was completed. One month after the original date. MEASURE Z INDEPENDENT AUDIT, WHAT HAPPENED TO IT ? AND DOES ANYONE REALLY CARE ? It’s kind of like the Freedom swing or the recent snow, now you see, now you don’t. A little at a time it disappears before your very eyes leaving behind unsightly residue in the form of destruction. Like most things in Wildomar time is not of the essence. A full 6 months plus has lapsed since the first full fiscal year of Measure Z which ended June 30, 2014 and no audit is available. This is in order for the Chief Fiscal Officer (i.e. City Manager) to be able to present this audit to the City Council, thereby, the Citizens of Wildomar by way of the Agenda Packet no later than December 31st. Resolution 2013-37 which was passed and adopted by City Council on September 11, 2013. This replaced resolution 2013-05 which was the original resolution establishing the Oversight Committee Duties and Responsibilities. An amendment of Resolution 2013-05 was listed as a future agenda item during the July 25, 2013 meeting of the City of Wildomar Measure Z Oversight Advisory Committee due to the erroneous inclusion of the committee the authority to review the upcoming budget prior to City Council budget hearings. This along with the previous un-excused absences of at least one member at two meetings. Rules are made to be broken, right. It is possible that not one member of the committee will have been present for the entire fiscal year when the audit is finally presented to the City Council and therefore the Citizens of Wildomar. This makes one wonder how is this audit going to be of any value to the community. By the time the audit is finally compiled and issued the statute of limitations will have come an gone leaving leaving uncontested and uncorrected errors dust in the distant past. In the past 6 months the Measure Z Oversight Committee has met twice in regularly scheduled meetings and once in a special session. Each meeting resulted in discussions about what would be included in the audit and how it would be compiled. During a special meeting on Thursday September 11, 2014 Agenda Item #1 was entitled “Annual Report Process”. This was the only agenda item at this meeting. At the regular meeting of July 24th and special meeting of September 11th it was made clear that the independent financial audit would be a part of the city-wide annual financial audit (so much for independent audit) to be completed sometime in December. Up to that point the committee would have to rely on the quarterly financial audits made available during the regularly scheduled meetings. These reports contain lines like $86,346.28 was expended during the first three months of the fiscal year, excluding Southern California Edison electricity charges in the amount of $7,138.25 at Marna O’Brien Park, which were miscoded to the General Fund. This is a line contained in the October 23, 2014 meeting during which another special meeting was asked for in November, was rescheduled to December, this special meeting was never held due to a scheduling conflict and has yet to be rescheduled. 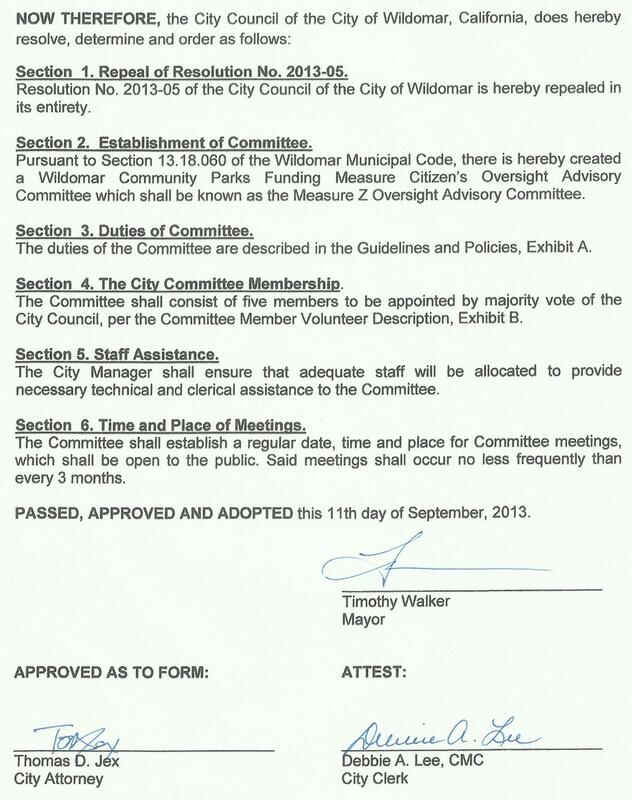 (Measure Z – Wildomar Parks passed on November 6, 2012 and was adopted by Resolution No. 2014-44 passed by the City Council on December 12, 2012). 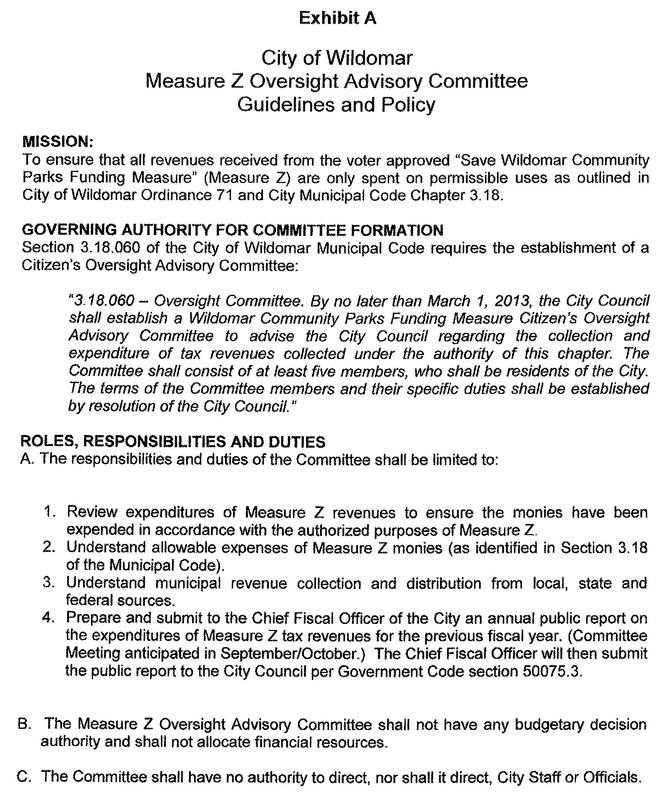 The Wildomar Community Parks Funding Measure Citizen’s Oversight Advisory Committee was formed and met for the first time on February 28, 2013 at which time a review of Resolution No. 2013-05 which was passed by the City Council on February 13, 2013 was conducted. Resolution 2013-05 being repealed and and replaced by Resolution 2013-37 which was passed and adopted by City Council on September 11, 2013. This entry was posted in Daily Ruminations, Future City of Wildomar, Parks, Shenaigans and tagged Wildomar City Council, Wildomar City Staff on January 15, 2015 by Kenny.